Line Proportioners - SOS Safety International Inc.
Line Proportioners introduce a controlled flow of foam concentrate into a pressurized water stream. 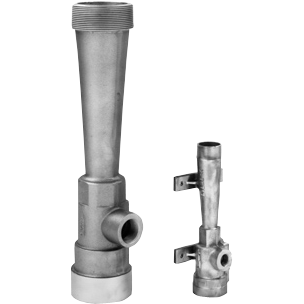 They provide an inexpensive foam proportioning means for systems requiring fixed flow rates and where available water supply pressures are adequate. 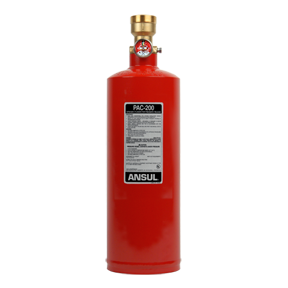 Typical applications include use by municipal fire departments and CFR type vehicles, or with fixed systems for protecting flammable liquid storage tanks, loading racks, dike areas, and anywhere flammable liquids are used, stored, processed, or transported. Each line proportioner consists of a body, jet, throat, and metering orifice – all made of corrosion-resistant brass. Depending on the specific foam system’s design, line proportioners may operate with inlet pressures as low as 80 psi (552 kPa). In most systems, however, a water pressure between 125 psi and 200 psi (862 and 13.8 bar) is required. The flow rate and operating pressure required at the foam making device are of primary importance in determining the required line proportioner inlet pressure. The line proportioner must match the flow rate of the foam making discharge device for proper operation. The model “PL” line proportioners can be used with all types of ANSUL foam concentrates. The proportioners are available in a wide range of sizes for fixed foam system applications. 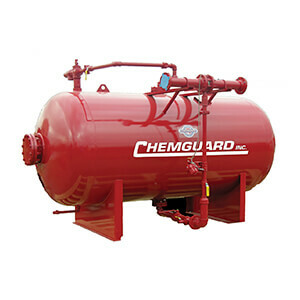 These applications also require an atmospheric foam concentrate storage tank. Portable line proportioners with fire hose thread connections (typically for use with matched handline nozzles) are also available for the PL-60 through PL-350 sizes. Metering orifice options are 3% or 6%.